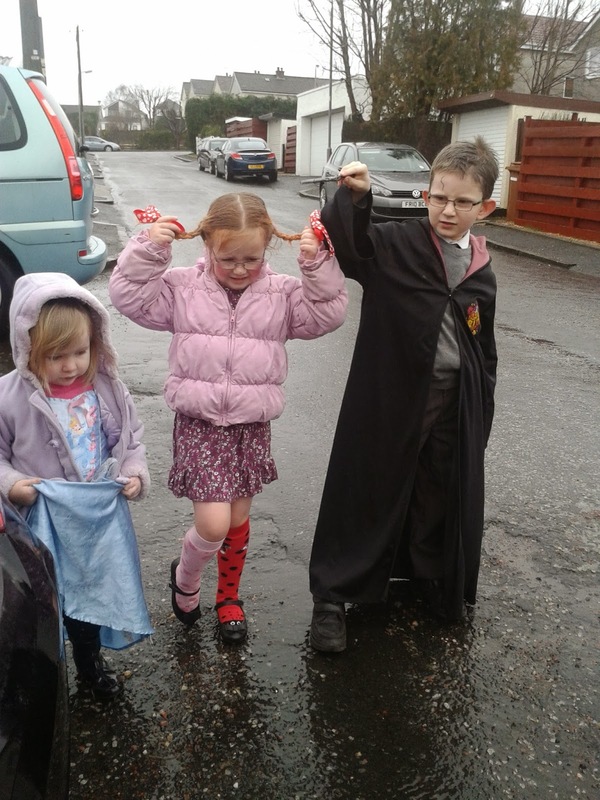 Today was world book day so the kids were meant to go to school dressed as a character they like from a book they'd read/been read. 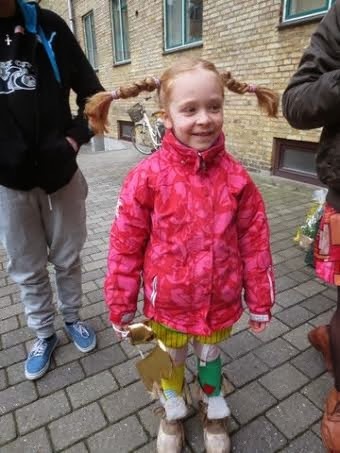 Last Sunday had been Fastelavn in Denmark. It is a dressing up festival a bit like our Halloween. Today Thomas's sister sent us photos of our two nieces: Ursula (7) and Elisabeth (6 mths). 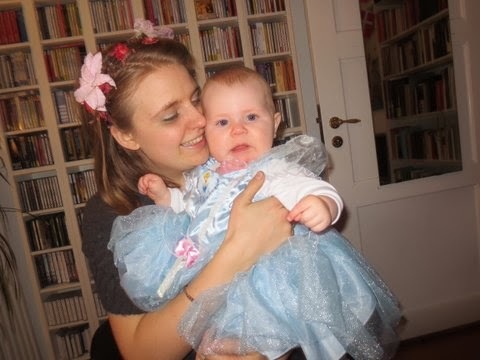 Ursula (left) had decided to dress up as Pippi, and baby Elisabeth was of course... well I'll let you guess for yourselves! It must be some sort of spooky international psychic connection, if you ask me!